This large inspirational tote bag combine sturdy waxed canvas fabric with a functional design. Its two-tone pallet has the added feature of an outside pocket for easy access. 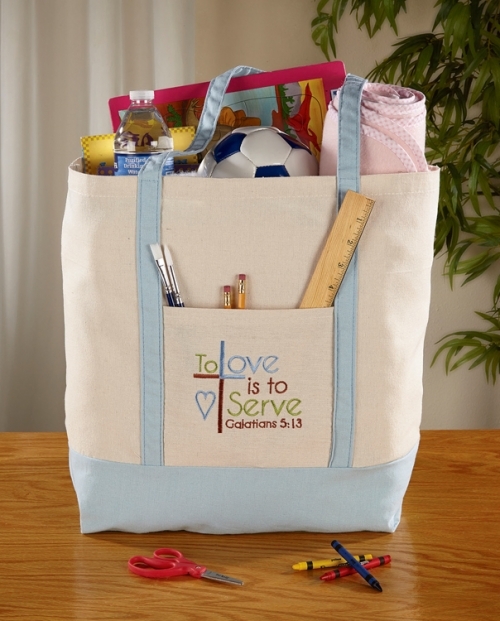 Inscribed "To Love is to Serve Galatians 5:13" make it the perfect gift for volunteers or that special teacher. Sold in quantities of 4 each.